Fighting is something Barnsley boxer Lee Noble is used to, but the 27-year-old is facing his biggest challenge yet as he takes on leukaemia. He talks to Catherine Scott. Last October Lee Noble’s boxing career was going from strength to strength. He had won five fights in a row and was training for a world title. “I really thought this is it, everything is really starting to take off,” says Lee from Dodsworth, Barnsley. But then the Sheffield Ingle boxer’s world came crashing down when he was diagnosed with leukaemia. “After my last fight in October I started to feel unwell. I got night sweats and was really aching. The doctor thought it must be something to do with the fight or possibly even arthritis. In the end he was referred to Barnsley Hospital for further tests. Lee was told that he was suffering from leukaemia and would need to under go intensive chemotherapy. 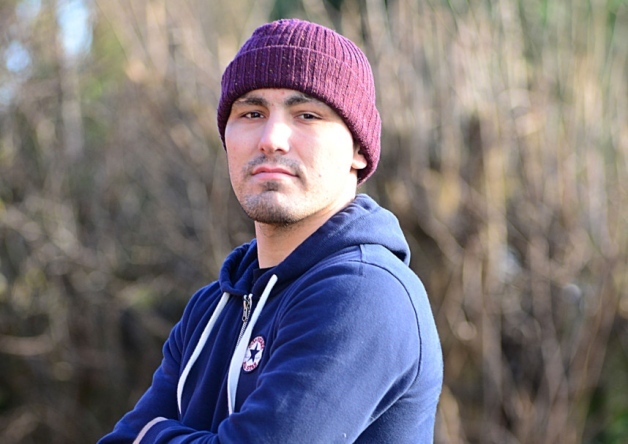 The light middleweight and middleweight boxer is dealing with his fight against cancer as he would a boxing bout, with Yorkshire grit and determination. Lee, who has a two-year-old daughter, Saffron, took up boxing after his mother Lynda suggested it to him. “I was about 13 and getting bullied a bit at school, mum suggested that I take up boxing so that I could look after myself and also for something positive to do with my time. After four years at the gym in Barnsley he was approached by Brendan Ingle from the famous Ingle’s gym in Sheffield. His mum is a massive influence in his life and he calls her his inspiration. Since Lee revealed to fans that he was ill on Facebook he has been inundated with good wishes and offers of help from supporters and the boxing world. “I have been blown away by the messages people have put on Facebook and Twitter. It really helps to cope with what I am going through knowing so many people are rooting for you. A trust fund for Lee to allow him to set up a gym for children if he is unable to box again. Among the events organised is a 12-hour rock concert next month. Dodworth Rocks for Lee Noble takes place on February 28 on two separate stages. Then in May a sportsman’s dinner is being held, supported by the Ingles. “I have always wanted to support cancer charities, even before I was ill I supported children’s cancer charities. I believe it is important to give something back. “You never know when you might need it. You think it will never happen to you, but in my case it just proves it can happen to anyone,” says Lee. Although Lee is not well enough to train, he spends a lot of his time down at the gym. “I like the banter,” he says. “And I like to support the other boxers. I just hope that one day I will be able to get back in the ring myself.